Reactive resins used for producing glass or carbon fibre reinforced composites are known as “matrix”. Reactive resins are sythetic resins, hardening to thermosets by the chemical procedure of polymerisation and polyaddition. 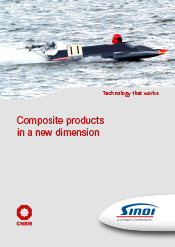 In the production of composite components unsaturated polyester resins or epoxe resins are predominantly used. There is a wide product range on the market with different material properties according to respective requirements.